The Chippewa Falls/Eau Claire region has an abundance of wineries, orchards, and brew pubs to visit. Below are links to those establishments to help you plan your getaway at the Inn on Lake Wissota. Apple and grape wines, gourmet foods, and apples harvested from the orchard. Since opening in July of 2004, as the first winery in the Chippewa Valley, wine offerings have grown from 6 wines to 13 wines and a hard cider. Autumn Harvest produces wines that are light, crisp and full of fruit flavor. Tours, museum, gift shop, beer tasting. For more than 150 years Leinie’s has stayed true to Jacob Leinenkugel’s vision for combining the German brewing traditions of his homeland with the innovative spirit of his new home in Wisconsin. Today you’ll find that spirit alive and well inside their wide range of German-inspired beers. From shandy to IPLs, to Weiss beers, to doppelbocks, they’ve got a beer for every reason and season. Cranberry, rhubarb, strawberry, elderberry, strawberry rhubarb, and pumpkin wines. Unlike other wineries in the state, owner, Joe Wynimiko, doesn’t have a vineyard, he has an orchard! With the right combination of sugar and yeast, Joe can turn any fruit or vegetable into wine. Taste well-balanced wines unique to our region and climate. Since 2009 River Bend Vineyard & Winery has focused on three things: award-winning wines, local grapes, and quality service. Proudly brewing and distilling in Chippewa Falls, Wisconsin alongside the Chippewa River. Enjoy rooftop seating, tours of the brewing and still rooms, food trucks, live music and more. We are very fortunate to have a diverse supply of restaurants in Eau Claire and Chippewa Falls. No matter what type of experience you are looking for, there’s bound to be one to satisfy your craving. The Livery (a.k.a. Cowtown Saloon), located in downtown Eau Claire’s North Barstow District, is one of the area’s newest and most popular restaurants. Known for its smashing cuisine and made-fresh drinks from the bar, The Livery has quickly gained a following of loyal fans. Opened in 2009, the locally-owned restaurant features a casual, fun atmosphere with a full bar, ample seating on two levels, “Game” room, and private outdoor patio with a huge brick fire pit. You can enjoy the evenings indoors or out – or both…the garage doors in the front and back are opened up during the warmer months to create a truly unique setting for social gathering and imbibing. The Livery is located within walking distance to the popular Phoenix Park area, and is a neighbor to several shops and service businesses in the North Barstow redevelopment area. It’s easy to find, easy to get to, and has plenty of parking available. Established in 1994, Mona Lisa’s is located in the Historic Water Street Business District. We serve an ever changing menu inspired by the seasons. Our passion is for good, healthy food and personal well-being. Join us Tuesday through Saturday from 4pm to close. Located at the Chippewa Valley Regional Airport, the Hangar 54 Grill specializes in a wide variety of unique and delicious dishes, including meat-based entrees made with specialty meats from a local butcher shop. Connell’s Supper Club strives to provide the finest dining experience to all of their guests. The traditional supper club atmosphere makes Connell’s Supper Club a unique venue for an elegant night out. Located in downtown Chippewa Falls Max’s concentrates on Baja California and Mexican fare with a strong focus on seafood. Menu includes Hawaiian swordfish, crab enchiladas, and fish tacos, as well as traditional Mexican favorites. Established in May 2011, Mahli is a modern & clean line decor restaurant to excite both your senses and taste buds. Each dish is made to order and presented like a four sart restaurant at a moderate price. Hip and totally Zen! Not like any Thai restaurant you are used to, Mahli steps up its creativity by giving you both modern and vintage feel in atmosphere. If you’re looking for an exciting new experience for your taste buds, come visit Mahli, all of your 5 senses will be glad you did. Long-standing neighborhood fixture in a former gas station offering homestyle American comfort food. Located in downtown Chippewa Falls right along the Chippewa River, the historic Sheeley House Saloon, serves chef-driven upscale cuisine in vintage surroundings. Featuring weekly entertainment. Trivia on Wednesdays beginning at 7PM. Conveniently located just 1/2 mile from Inn on Lake Wissota, the Edge Pub & Eatery offers an easygoing venue serving casual American fare & seafood, plus a deck & boat slips on Lake Wissota. Your new favorite place for everything you love. Great food. Cold drinks. And good friends. All on the shores of Lake Wissota. Loopy’s opened for business on January 3rd, 1997. Since then, it has been a constant work in progress with adding three regulation volleyball courts, a tubing, canoeing, and kayaking business, a bamboo bar overlooking the Chippewa River and the Loopy Dome – The Chippewa Valley’s Original and World’s Only “Heated Sand” Dome! Loopy’s is open 7 days a week (with the exception of some holidays) from 10am until bar close.  We are always working towards giving the best experience possible and making Loopy’s truly “A Place for Everyone!” Loopy’s was also recently ranked as one of the top 17 iconic bars in all of Wisconsin by OnlyInYourState.com!